How To Bring YOUR BEST Practice Game To The Course Using A Simple Proven Strategy And How You Can Put This To Work For Your Game Now! Standard practice drills improve your skills but don’t translate into better scores! Steve worked with some of the game’s very best including Rocco Mediate, Jim Colbert, Jim Dent, Marco Dawson, Emily Klein, Leonard Thompson. 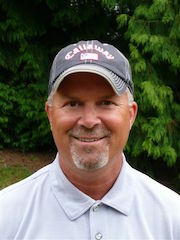 Steve is the only instructor in the Pacific Northwest that has taught winners on all four major tours, the PGA, LPGA, Champions and Nationwide. Discovering the secrets to mastering your emotions (Hint, controlling your emotions is a myth). An entire module dedicated to increasing and improving your ability to FOCUS when it counts. This module by itself may be all you need. How to destroy the tension-creating FEAR that is the number one interference with the golf swing and the putting stroke. Direct access to me, Craig Sigl, mental toughness trainer in the membership site to fill in any gaps in ensuring your game gets to the next scoring level. Finally, solutions for how to clear all forms of the Yips that don’t require changing your swing or putting stroke. How to access the inner mind to change anything you want about yourself, on and off the course. Ever told yourself you want to lose weight, quit smoking, drinking, exercise more, etc? How to turn every moment of warmups or practice into game-like simulation to de-sensitive the nervous system to pressure. Little-known practice game that destroys indecisiveness and becoming ball bound. How to make your practice almost as fun as a round, by yourself or with others. Lifetime access. Download the entire course to your cell phone, tablet or computer if you want. The 8 mental mistakes that cause choking under pressure and how to turn them around. If for any reason, or no reason whatsoever, you don’t feel your getting 10 times MORE value than your investment in the program, within 30 days of purchasing, then I don’t want your money and will refund you back every penny. What they don’t tell you is HOW to do this. BUT YOU JUST CAN’T SEEM TO ACTUALLY DO IT and you keep thinking that the solution is to “Fix your swing.” Wrong! In this program you learn HOW! From Range To Course is a 6-module online video training course that you can do at your own pace. It gives you the flexibility to focus on what works best for you while also keeping you on track with my proven process that I’ve used with hundreds of golfers and other athletes. Worth More Than The Cost Of This Program By Itself! In order to get the lessons INTO YOUR MUSCLE MEMORY, 6 Months Prepaid Membership To My GolfSelfHypnosis.com Virtual Hypnosis Office is included with your purchase. Currently at $24.95 a month x 6 months = $149.70 Value! 14 Golf Self Hypnosis sessions you can do in the privacy of your own home to change your nervous system responses! Long Game – Increase Driving Distance. Long Game – Improve Accuracy. Long Game – Your Perfect Swing. Short Game – Pitching and Chipping. Short Game – Sand Trap Shots. Putting – Eliminate the Yips, a 3-session process. Mental Toughness – Develop Focus. Mental Toughness – Confidence, a 2-session process. Special Problems – Playing behind slow players. I HAVE BEEN USING YOUR TAPES. YESTERDAY, I LISTENED TO SEVERAL AND ONE THIS MORNING BEFORE I WENT TO PLAY IN OUR CLUB TOURNAMENT. I WON THE MEDALIST CUP. I HAD A VERY GOOD BACK NINE. I HAD 32 GOING INTO THE 18TH HOLE,A PAR FIVE. I HAD A LOT OF CONFIDENCE IN MY CHIPPING, PITCHING, AND PUTTING. NOW I AM SEEDED #1 IN OUR CHAMPIONSHIP FLIGHT. YOU CAN BELIEVE I WILL BE LISTENING TO THESE TAPES. Click Here to see details of everything you get at the GolfSelfHypnosis.com membership site. BONUS: 6-months in Craig’s Mental Game Membership website: Golfselfhypnosis.com Normally $24.95/month. Total Value: $149.70. Yours FREE with purchase.